Aaron and Patrick Fitzsimmons entertained the crowd at the Tupelo Music Hall in White River Jct. Vt. 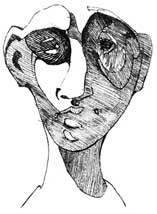 If you missd it, or enjoyed it - check out a recent Aaron and Patrick spontaneous collaboration. We are excited to announce that Aaron has teamed up with filmmaker Bethan Wixey, who has completed a new music video for "My Daughter's Hand" from the chart topping "Miss Ready Blossom and the Seed of Dreams". Enjoy and spread the good word ... May all your days be Salad Days!!! 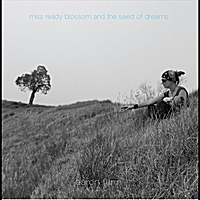 Get Miss Ready Blossom and the Seed of Dreams now on CD BABY! with great aid from a long list of incredible musicians as well as graphic design and recording experts ... and the result is striking!!! Aaron's video for I want you. have collaborated on a MUSIC VIDEO for one of Aaron's songs. released in the fall of '08 --- ENJOY! Check out some live performances on the video page in the multimedia section!!! Aarons music can also be heard in a Hawaiian documentary called "Beyond the Grass Skirt" ... check out their myspace site at www.myspace.com/beyondthegrassskirt ... and lastly Aaron is still working out the details of a deal with Halogen Records, a Montpelier based independant record label, to get the music and himself out to the world at large. More to come!!! © Aaron Flinn. All rights reserved.